Sometime between jammy time and beddy-bye time, I like to read James our favourite bedtime book, Goodnight Moon. There is something about this calming story by Margaret Wise Brown with soothing illustrations by Clement Hurd that make it the ideal book to read to kids just before bed. Here's the story if you're unfamiliar with it. 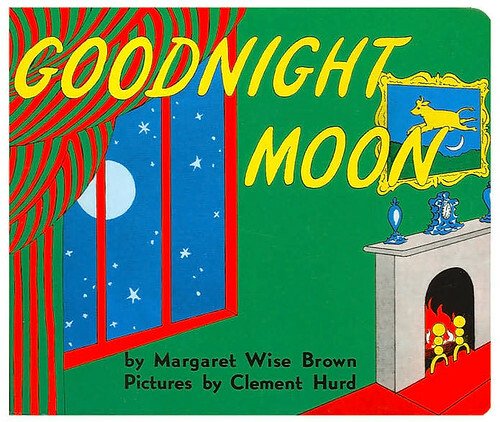 If you have trouble drifting away at night, and you have nobody to read Goodnight Moon to you, I suggest you buy this book on tape and play it at bedtime. I guarantee instant sleep and sweet dreams all night long.